It’s that time of year to venture out and watch as spring boasts its ever-changing palette, and we’ve found our favorite way to do so. The Château de Vullierens is a gorgeously lush property just above Morges, which opens its gates every year for nature enthusiasts (or anyone who enjoys a peaceful stroll throughout blooming and manicured gardens for that matter) to come and admire the scenery. 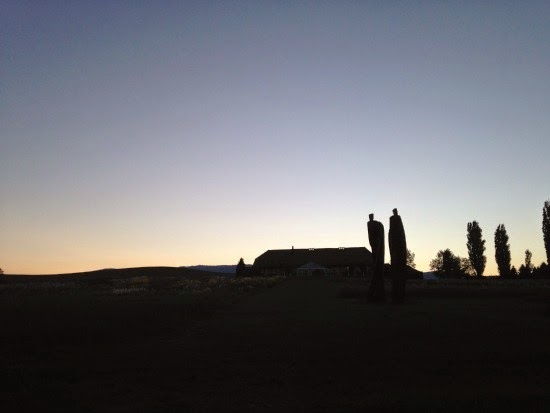 We went last year and fell in love with the property–the luscious landscapes, the panoramic view of the lake and vineyards below, the hundreds of varieties of flowers, and the darling café set under a canopy of trees. This year marks the 60th anniversary of the Floralies de Vullierens, and they have chosen to dedicate this year to women. 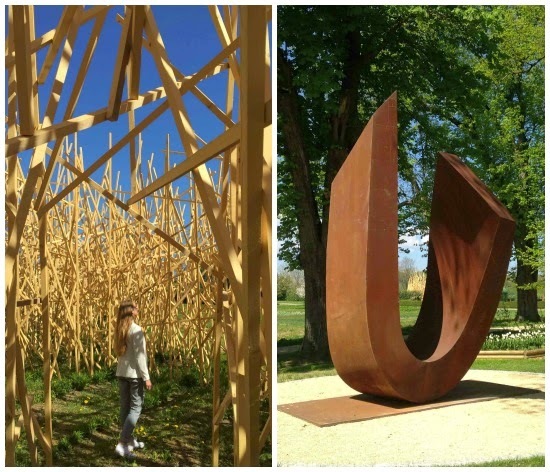 Amongst the gardens are monumental sculptures, one entitled Paradigme which resembles a wooden labyrinth created by Mireille Fulpius, and another called My Twist, a corten steel sculpture that stands five meters tall by Beverly Pepper. There’s also a new addition this year called Muni’s Garden which hosts over 2,000 tulips–now that’s a sight to see! But one of the most exciting parts of this year’s 60th anniversary celebration is a chance to discover the gardens under the stars. The Château de Vullierens is organizing two special evenings on June 4th and June 11th that begin with a dinner concocted by Guillaume Trouillot at the Café des Jardins made with local ingredients right from Vullierens. Before the meal, everyone will be asked to solve a puzzle that will reveal your passage into the gardens (we love this!). 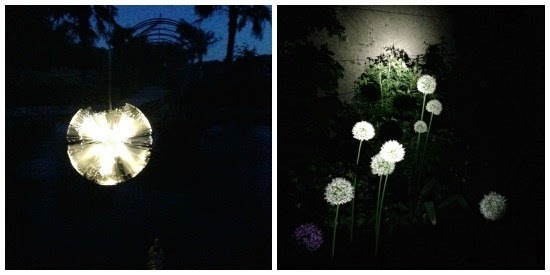 After you enjoy your meal, the real fun begins–with a flashlight and underneath the light of the stars, you will make your way to five stops throughout the garden; stories will be told, artists will present their pieces, and in the end you may have a few tales to tell too. And to close the evening, you get to head back to the café for dessert and coffee. If you’re interested in discovering the gardens under the stars, make sure to RSVP as space is limited. The price is 65 CHF and includes a three course meal, aperitif, entrance into the garden and the organized activity. Also, for each booking 10 CHF will be donated to the Association Conteurs Sans Frontières! We can’t think of a better date night! 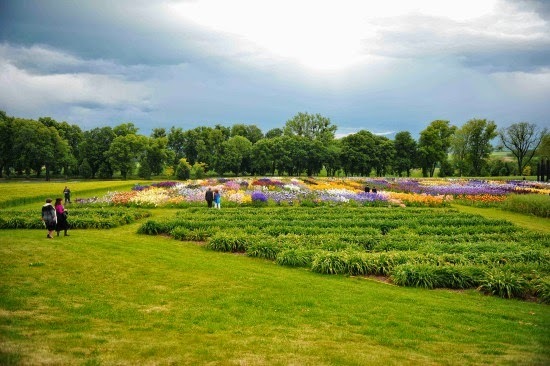 If you just want to visit the gardens, they are open for visitors until June 13 and tickets can be purchased on site. There is also a Sunday brunch which you can read more about here. We want you to discover these gardens for yourself, so we are giving away two pairs of tickets! To enter to win, leave a comment below telling us what your favorite flower is. Two winners will be randomly chosen and announced tomorrow. Good luck! My favourite flower is the Peony for the delicate perfume. In China it is also known as "king of the flowers", and is used symbolically in Chinese art. Tiptoeing through rainbow-carpeted tulip fields..
Tulips are my favorite. They are a sure sign that warmer weather is coming and I love the vibrant colors. Iris in any colour declination 😊 ! Thanks. Virtuous Violets, modest and sweet.